Many in the Jewish Community have long recognized that the dearth of trained leaders is a great challenge in Jewish organizational life. This is particularly true at the executive level, where, for a variety of reasons, adequate training and professional development opportunities are often difficult to come by. Yet research shows that investment in leadership development pays dividends. The Executive MAJPS program is tailored to fill this void. The participants in this inaugural cohort represent organizations in Chicago, Cleveland, New Jersey, New York, Ontario, and Washington, DC. They are studying with experts from around the world who understand both the theory and practice of leading in today’s highly complex Jewish world. Together, they are gaining the expertise to anticipate community needs and opportunities, inspire excellence in staff and trustees, and face new challenges from positions of strength. To accommodate the time demands faced by executives, the curriculum is delivered through a blend of onsite seminars and online modules. The program includes leadership assessment, executive coaching, and an individual project tailored to the needs of participants’ own workplaces. The program began with a two-day seminar titled This American Jewish Life. The second seminar, The Role of Israel in Jewish Life, was taught by Dr. Rachel Fish, Associate Director of Schusterman Center for Israel Studies at Brandeis University. Spertus congratulates the participants in this unprecedented program, who realize that professional growth is imperative for those who lead the Jewish world of today and tomorrow. 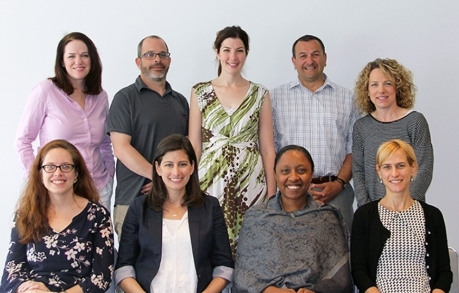 Guided by Jewish wisdom and history, the Executive MAJPS builds on Spertus Institute's highly regarded Master of Arts in Jewish Professional Studies, but its content and design is specifically for those leading Jewish organizations to successfully serve, enrich, and perpetuate the Jewish community.